Few things are more comforting than the voice of Patrick Stewart. 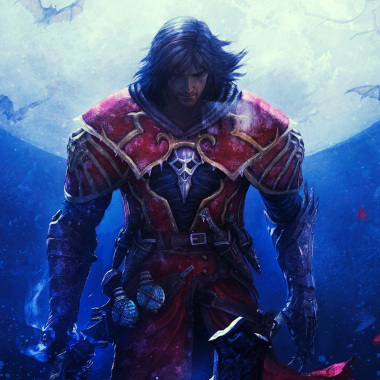 The fact that his narration is the first thing that greets you in Castlevania: Lords of Shadow lends an air of reassurance and familiarity to a game that is unlike any other in the Castlevania series. First, a spoiler warning: Spoilers. This Castlevania is definitely not the same style of game that lent part of its name to the ‘Metroidvania’ portmanteau. Where series entries like Symphony of the Night gave players a labyrinthine castle to explore, with new areas unlocking as special moves or items were granted to the player, Lords of Shadow is very much a linear, third-person character action game. It’s clear that ‘reboot’ was the intention of Spanish developer MercurySteam. It set out to tell an origin story with a twist. The subject here is not a hero, but a villain. It recounts the tale of a holy warrior, Gabriel Belmont, who goes off in search of great power in order to resurrect his lost love. It ends not with triumph and celebration, but with damnation. Belmont closes the game as Dracula, the ultimate big bad from Konami’s long-running series. Narratively, this echoes the broad story arch of Shadow of the Colossus. It even borrows several boss battles from that game, with Belmont having to scale and overcome towering Titans. But MercurySteam’s inspirations don’t end at Team ICO’s PS2 masterpiece. The developers also look to another last-gen classic, God of War, for their reimagining of Castlevania. Belmont wields a Combat Cross, which differs only from Kratos’s Blades of Chaos. in name and design. Functionally, it offers the same mix of heavy, lashing blows, lighter crowd-control techniques and QTE finishers. It’s visually stunning in full flow, but the combat falls a notch or two above God of War in the difficulty stakes. This hampers the early game, especially the very start, which commences with a challenging arena battle. It was hard the first time on normal difficulty, but even on my second play-through I died on several occasions, despite having an almost fully upgraded character. Difficulty isn’t the only issue with the game’s opening stages. Lords of Shadow is a mixed bag of combat, puzzle solving and environmental exploration – elements that it tends to introduce slowly over a series of short, focused stages. While this underscores the variety on offer, it makes for a slightly disjointed initial experience. You’ll be well into the first third of the game before the designers are comfortable combining these various elements into single stages. But even before the gameplay elements fully gel, MercurySteam manages to establish a strong, cohesive visual identity for the game. The dark, Gothic and often rain-lashed locations are soaked in the atmosphere of evil. It’s a bleak game, but beautiful – the highlight being the middle third, in the Vampire kingdom, as Belmont makes his way from a frightened and cowed human townstead to the ruined splendour of the Vampire Queen’s imposing castle. This part of the game offers some of the most spectacular vistas, as the camera pulls back to show off the huge scale of the locations in true God of War fashion. It’s a high point for the title, both visually and gameplay wise. The final part of Belmont’s quest, through the Land of the Dead, feels superfluous when measured against it. Narratively, the game also falls down in its final third, as fast friends become firm enemies through slightly incredulous justifications. It’s left to the epilogue to redeem the story, and offer players a reason to return to the upcoming sequel – though the Dracula twist is soured somewhat by the realisation that you’ll need to download and play two DLC packs to find out how Belmont became the Prince of Darkness. It’s a devilish ploy, but YouTube and Wikipedia fill in the gaps sufficiently if – like me – you’ve grown tired of the combat by the game’s end. All told, its a generous package, but one that does slightly outstay its welcome. It’s at its best when it pits the player against enemies and the environment, mixing path-clearing and path-finding to entertaining effect. The over-reliance on combat towards the end of the game might disappoint and leave you hankering for more of the clambering from earlier stages, but it’s still an exceptionally well put together title from a relatively unknown studio – and it bodes well for the next instalment.